That’s fantastic news, my iPad is not on the list, I will not be forced to do an update I don’t need or want. The iPad gets the most interesting iOS 11 features. Other than Control Center and the Live Photos features I don’t see anything new for iPhone. My Ipad is not supported, so it will keep gathering dust with the occasional use of bedside web browser. 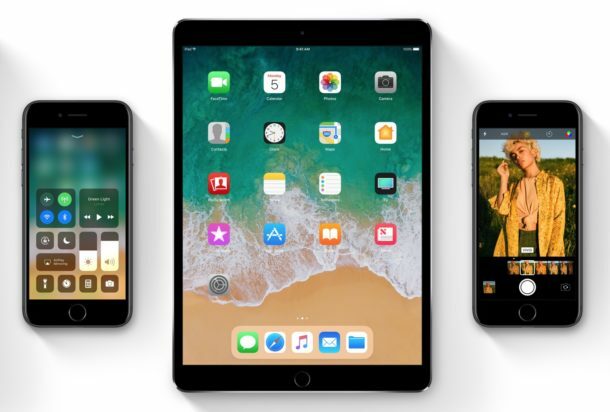 I do not know if I would buy another one, maybe if iOS 11 is really great on it? Then you must have an ipad 4th gen or older one or an ipad mini 1. I have the first ipad air from 2013 and it’s still in the list. So my mid-2010 iMac is “technically” supported until 2019 and compatible with an OS that will be supported until at least 2020. 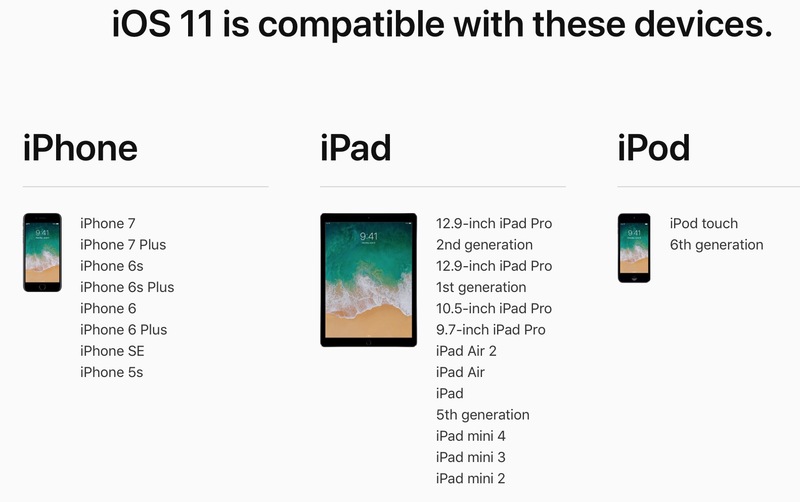 But my iPad 4 is now considered obsolete by iOS 11 standards due to its 32-bit architecture. Am I missing something here? When did a newer computing device becoming “outdated” by an older computing device? For PCs and macs 64-bit architecture has been available for a long time. Many were rendered obsolete back in their day too because they were 32 bit. I have an hp laptop from 2007 and it came with 64 bit windows vista. But for phones and tablets 64 bit came much later, that’s why 32 bit mobile devices aren’t as old. Haven’t got any link in settings ???? well my i pad 4 9.7 is not listed.screwed. just what to expect i suppose.